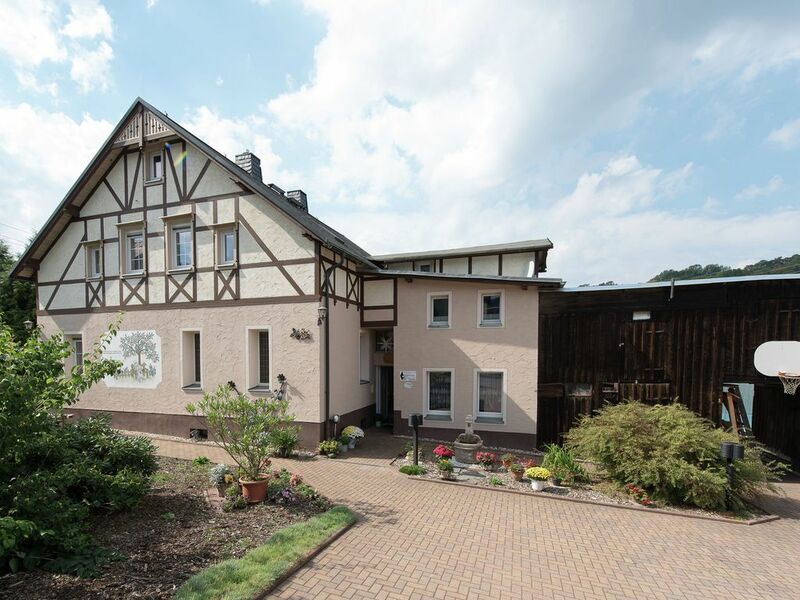 This modernly furnished apartment is situated in Pöhla in the Ore Mountains, about 500 metres above sea level and near the Czech border. The house has a garden with a heated and covered pool that makes you feel like you're at the Mediterranean Sea. Whether you prefer absolute peace and quiet or doing some recreational sport - you've come to the right place. Hiking through the Ore Mountains with the gentle hills and wide, curved valleys is a true experience for all ages. In the cold season, the famous winter sports centre offers all kinds of activities. Excursions into the region include: The exhibition mine Pöhla, Schwarzenberg Castle, Ore Mountains Nature Park/Vogtland, Bad Elster. Schöne geräumige Unterkunft. Küche sehr gut ausgestattet. Gerne Wieder! Sehr freundliche und nette Gastgeber. Schöne Ferienwohnung. Sind rundherum zufrieden. Schöne voll ausgestattete Wohnung und freundliche Gastfamilie.